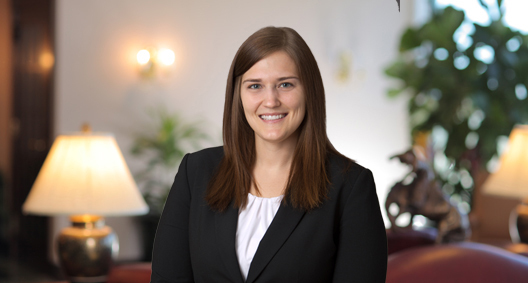 Kristen Luck concentrates her practice in complex commercial litigation, representing clients in matters concerning class action litigation, business disputes and products liability. Assisted in the defense of a waste collection company in a putative class action in federal court. Researched and drafted the motion that resulted in the dismissal of the company for lack of personal jurisdiction. Assisted three aviation companies in obtaining summary judgment on the plaintiffs' claims of tortious interference related to the award of a government contract to provide fuel services to an airport in a foreign country. Provided key research and assisted in drafting the successful motion for summary judgment. Assisted in the defense of a hotel and resort in a class action filed in federal court for alleged contractual violations. Assisted in defending members of a medical distribution LLC against claims of breach of fiduciary duties, tortious interference and misappropriation of trade secrets. Assisted in the defense of an entertainment management company against claims seeking to void its right to copyright royalties and its administration rights in the copyrights. Provided key research on the intricacies of copyright law and drafted various evidentiary motions. Defended a manufacturer of water treatment systems in an action for property damage. The case was resolved after voluntary dismissal with prejudice. Defended numerous medical services companies in actions alleging violations of the Florida Consumer Collection Practices Act.